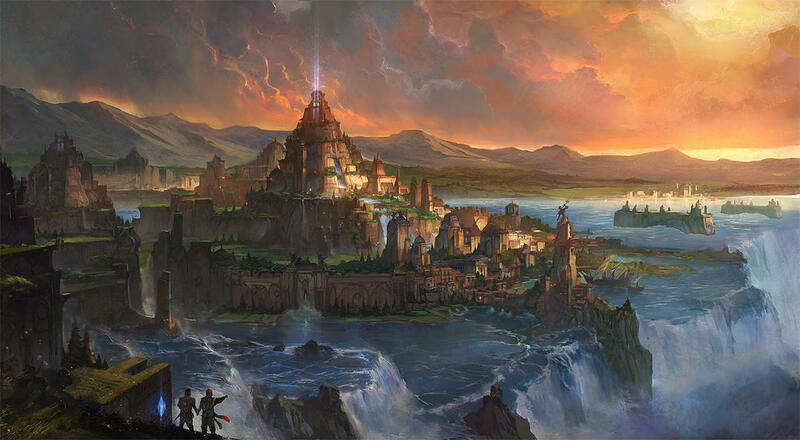 The story of Atlantis has captured the human imagination for thousands of years. There’s just something about the idea of a lost civilization sunk somewhere in the deep ocean that we just can’t shake. We love it. We make movies about it, books about it, compose songs and art pieces. Hundreds of thousands of theories have been drawn up as to whether or not Atlantis ever existed and where the ruins might be if it did. We’ll be covering the origins of this ancient conspiracy theory, the historical interpretations that have grown out of it, and the ensuing modern theories that have sprung up out of hundreds of years of wondering about the enchanting possibilities. Whether you’re a skeptic or a conspiracy theorist, perhaps you’re wondering where the story of Atlantis came from in the first place. Well, that, my friend, is a very long story. It begins with the ancient philosopher, Plato. Plato introduced Atlantis as a mighty military power that existed somewhere in the Atlantic that was home to an advanced civilization and had, at one point in history, mysteriously disappeared off the face of the earth in a cataclysmic event. The philosopher had no idea how far-reaching the effects of his story would be. Even the ancients took hold of Plato’s account. Several historians, including Strabo and Posidonius, believed in the existence of Atlantis as a real historical place. In one account, historian Ammianus Marcellinus wrote that he had heard the Druids of Gaul say that part of the inhabitants of their people had come from the ocean. He took this to mean that the druids were descended from Atlantis. They had said, vaguely, that the place where their people had come from had been flooded. Many took this to mean Atlantis had sunk beneath the ocean, never to be seen again. This thought has pervaded Atlantean theories for the rest of history. Most of our theories and evidence for the existence of Atlantis stem from pseudoarchaeology and pseudoscience that had its roots in the 16th century. There were a few literary interpretations, as well, that people took to be real. 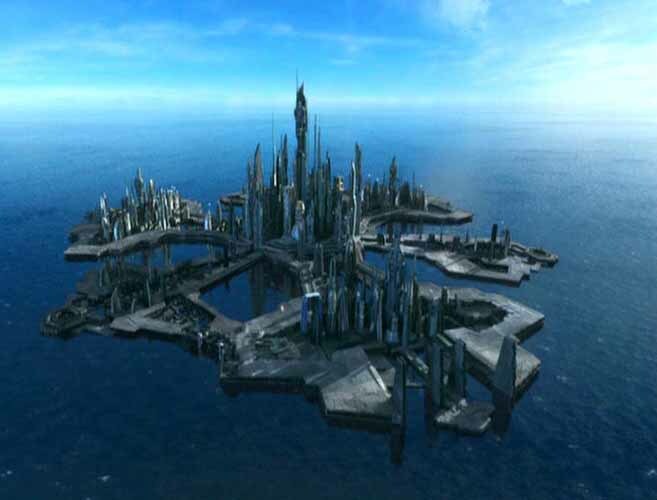 Utopia by Sir Thomas More was based on Plato’s Atlantis and traveler’s accounts of the Americas. Theorists combined Utopia with Sir Francis Bacon’s The New Atlantis, where a character gave a history of the lost civilization, placing it in America. 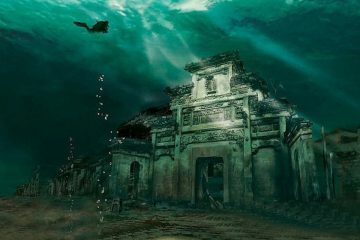 People began to believe that Mayan and Aztec ruins might be remnants of Atlantis. 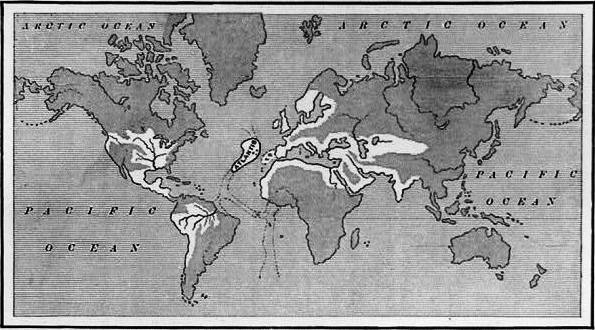 The real theories didn’t start until 1882, when Ignatius Donnelly published his Atlantis: the Antediluvian World. Ignatius believed that all known ancient civilizations did not have the capability or intelligence to discover technologies like metalworking and architecture, and so this knowledge must have been passed down by some advanced civilization, namely, Atlantis. He believed the Garden of Eden existed there, and that Atlantis was destroyed by the Great Flood mentioned in the Bible. His ideas were so popular that he’s called the “father of the 19th century Atlantis revival” and is the entire reason the myth still exists today. In the 1870s, a Russian mystic named Helena Petrovna Blavatsky and her partner Henry Steel Olcott founded the Theosophical Society. They’re often cited as the founders of the New Age movement, but that’s not all they did. Blavatsky wrote The Secret Doctrine, claiming it was originally dictated in Atlantis itself, and proposed that she had it on authority that the Atlanteans were cultural heroes and were the fourth “Root Race”, succeeded by the fifth and most superior “Aryan Race” (her own). She believed Atlantis had reached its peak around one million years ago, but destroyed itself through psychic warfare. Her idea actually ended up providing the Nazis with a mythological pretense to base their ideological platform of the “Aryan” race, and inspired them in their ideas of an “Aryan-Nordic” master race. After World War II and a brief buzz stirred by Nazi occultism, the theories about Atlantis have since cooled to more modern, scientific interpretations – or otherwise fantastical, literary ones in artwork and stories. Since the twentieth century, the theories about Atlantis have still been bouncing around in the public imagination. Films have been made about it, books have been written based on the discovery of the lost civilization (or set in it entirely), and conspiracy theorists still speculate about where the city might have gone. There’s a lot of wacky theories out there, and a few likely ones. Here’s six of them. 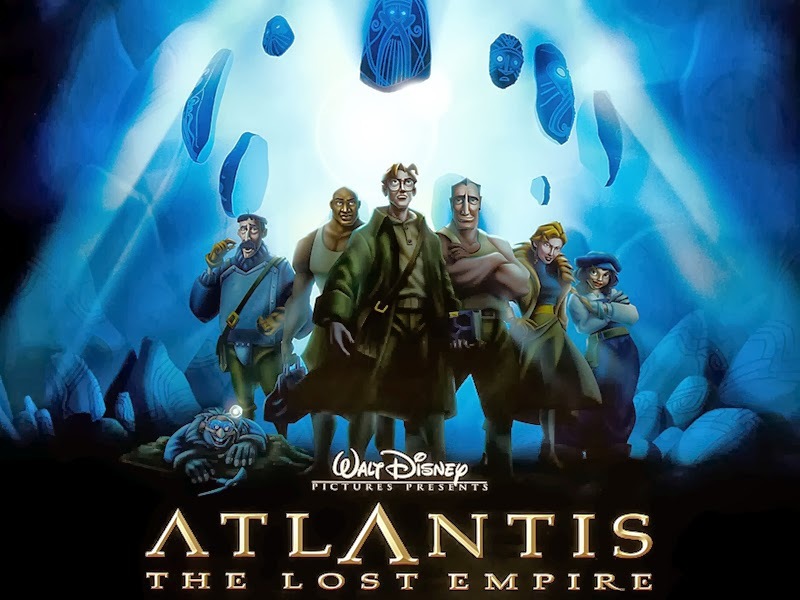 In “Atlantis, the Antediluvian World” Ignatius Donnelly (the man who started most of the conspiracies in the first place), believed that Atlantis sat on a shifting continent that was flooded by the Atlantic Ocean and eventually sank to the bottom – in the exact location Plato said: just outside the “Pillars of Hercules”. These, referring to, of course, the Straits of Gibraltar. Many people subscribed to this theory and many people still do, even though geological science has since proved that it’s impossible. One writer, named Charles Berlitz, was a popular author on paranormal subjects. He claimed that Atlantis had originally existed in the Pacific Ocean, just off the coast of the Bahamas. 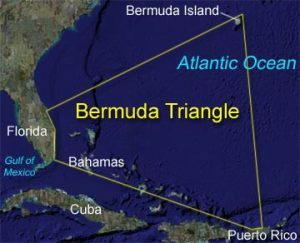 In his theory, he believed that the Bermuda Triangle (an area famous because many ships had supposedly mysteriously disappeared there), had managed to swallow up an entire landmass. Those who believe Berlitz cite the existence of what appears to be man-made walls found off the coast of one of the islands in the area. Unfortunately for this theory, science has proved those formations to be 100% natural beach rock. Thousands of years before Plato ever wrote his myth of Atlantis, around 5600 BC, the Bosporus was breached by the Mediterranean Sea and the entire area around the Black Sea was completely flooded, washing away many civilizations that lived along its shores. The theory goes that, as the inhabitants trickled out of the area, they told their story to anyone who would listen. The ensuing legends of a flood turned into, thousands of years later, Plato’s myth of Atlantis. A recent theory proposes that Atlantis was actually just a retelling of the downfall of the Minoans. 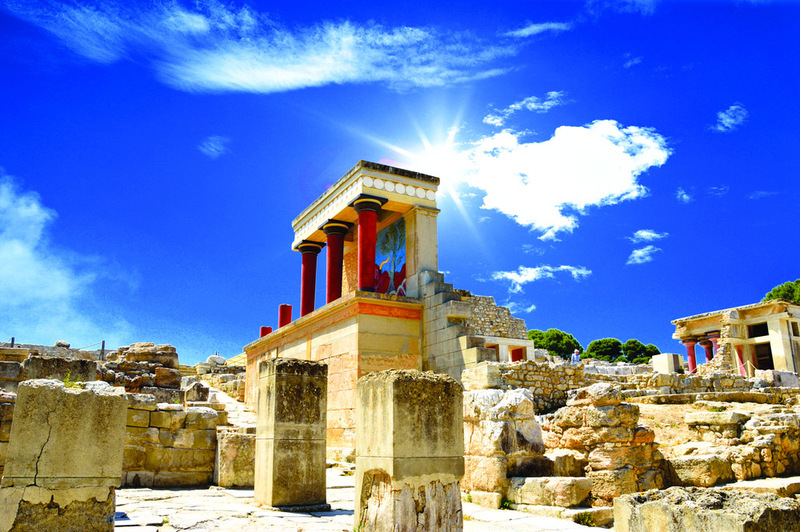 The Minoans flourished on Crete and Thera 4,000 years ago. They were the first great civilization of Europe, a precursor to the Ancient Greeks. They were a seafaring civilization who traded all across the known human world at the time. However, at the height of their power, they suddenly disappear off the face of history. To this day, no one knows for sure what happened to them. Could this be Plato’s Atlantis? Scientists and historians believe that, perhaps, an earthquake and subsequent tsunamis were partially responsible for destroying the Minoan cities living in the region, making them vulnerable to invasion from their much more warlike neighbors. Perhaps this was the doomed civilization destroyed by natural disaster that Plato was referring to. Some people believe Atlantis was just a much more temperate version of Antarctica. This theory stems from Charles Hapgood’s 1958 book Earth’s Shifting Crust. According to him, Antarctica didn’t used to be so far north, however, 12,000 years ago, the Earth’s crust shifted and placed it north, ruining the climate. Antarctica was originally home to Atlantis – but the shift froze their city and buried it under the ice. This is another theory that survived for quite a long time until scientists gained an understanding of plate tectonics – which disproved all belief in the possibility of a “shifting crust”. 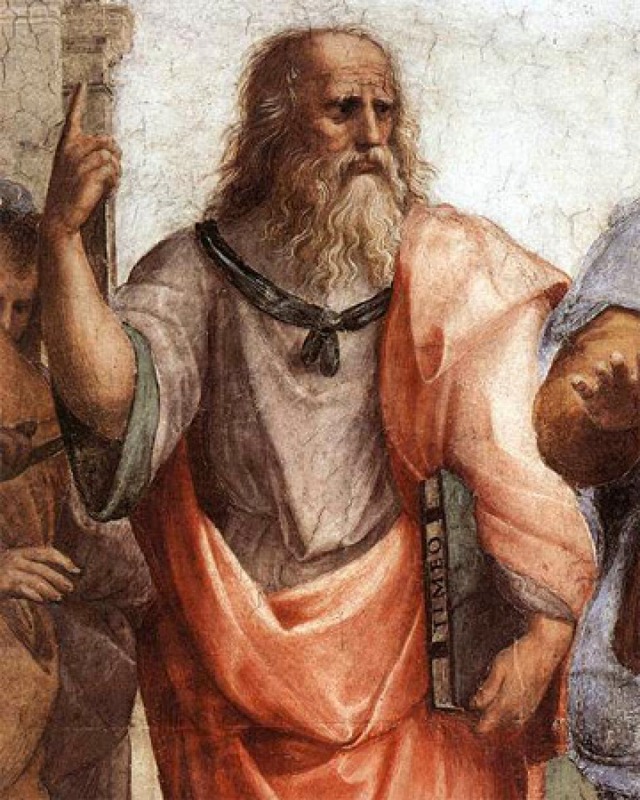 Most scientists and historians have decided that Plato’s account of Atlantis was a work of fiction. They believe it was intended as a cautionary tale about the gods punishing human sin. There is no real evidence and no other account of Atlantis outside of Plato’s dialogues. No trace of a lost civilization has ever been found beneath the ocean. It wouldn’t be the first time Plato created a fictional society to illustrate a philosophical concept – his Republic is a fine example of his penchant for doing just that. So, what do you think? Was Plato referring to Antarctica or the Minoans? Was it a real place that sunk into the ocean or was spirited away by unexplainable forces? Or did Plato make the whole thing up? I suppose the best answer is we’ll never know for sure, but it’s still a whole lot of fun to speculate.